» PAULO BENTO: AFTER THE COLLAPSE, HE tackles ARBITRATION! 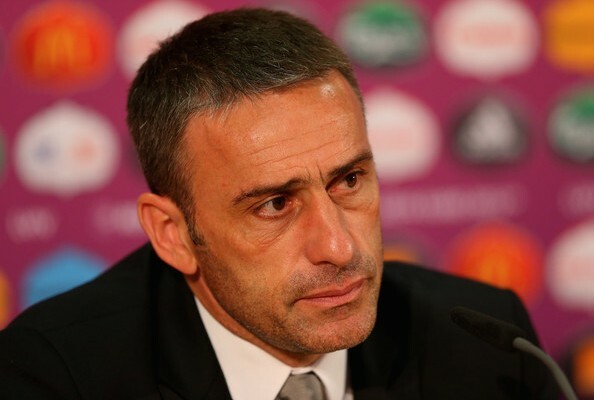 Brazil 2014 PAULO BENTO: AFTER THE COLLAPSE, HE tackles ARBITRATION! Would Paulo Bento, coach of Portugal, be a bad loser? “The story was already over after the first 45 minutes, the second period had no interest. Yet in the first half there was no such superiority of opponents, but on occasions they have been more effective, we made some mistakes and did not delivered the expected performance. We have a suspended player and many injured, we will have several changes to make, but reshaping the whole team would the biggest mistake. Previous post NBA: LEBRON JAMES “FRUSTRATED”, ON DEPARTURE FROM the HEAT?